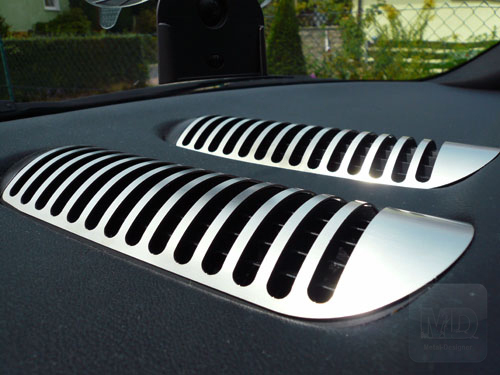 Here’s one of my latest finds: Available in Europe only, I am bringing to North America hand-made Audi TT aluminum accessories. 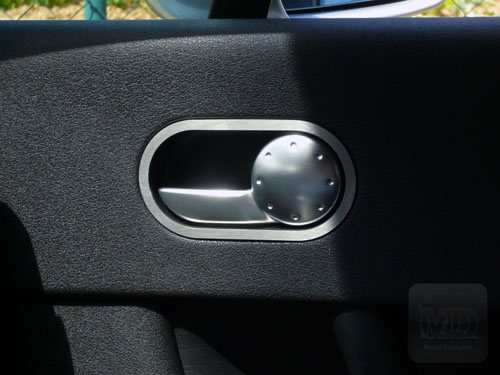 Such as Aluminum: ventilation panels, floor mats, Speedometer Covers, Door handle covers, door sills & pins, tachometer covers, Open Metal Shifters, center armrest, etc. 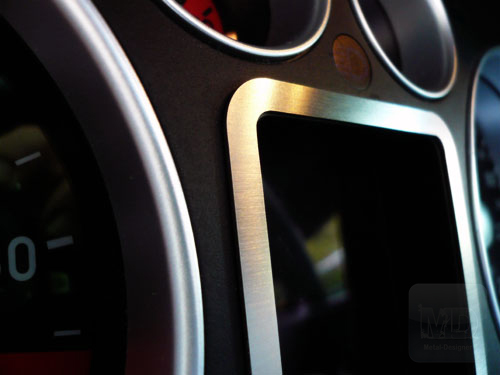 Are you looking for an exclusive extension for your Audi TT (8N)? 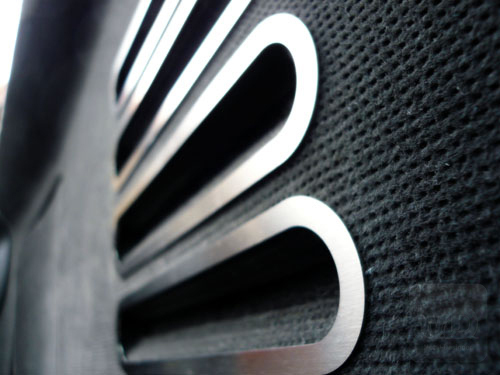 We provide this ventilation hood in brushed stainless steel. 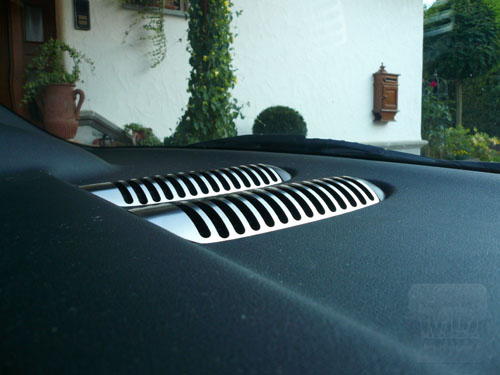 By the choice of material for these ventilation apertures are a timeless and understated image of your car. The installation of the panels does not require specialized knowledge. The panels are using tape (supplied) installed directly on the unit. 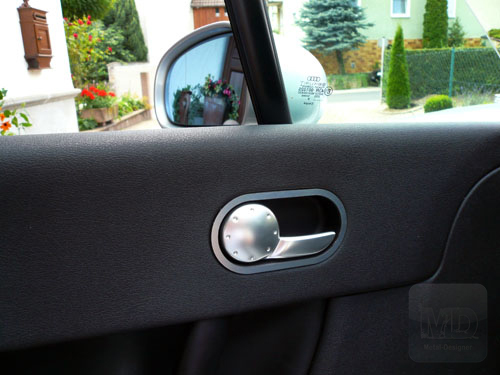 Are you looking for an exclusive extension for your Audi TT (8N)? 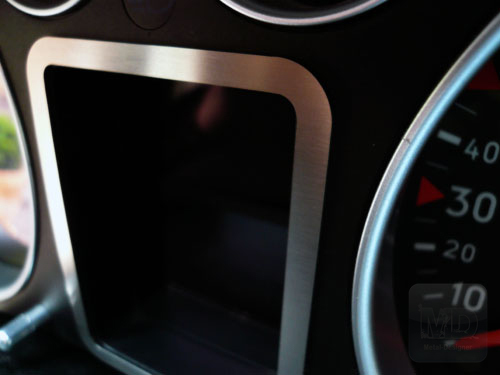 We have this panel for the center console for you. 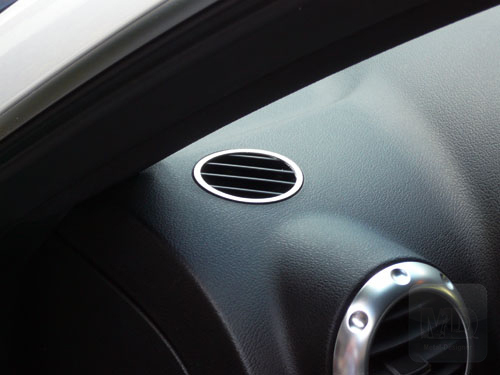 It is made from high quality brushed stainless steel and therefore represents a timeless and understated image of your car. 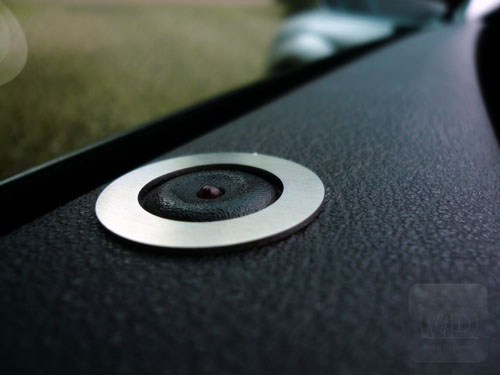 The mounting of the panel requires no special knowledge. 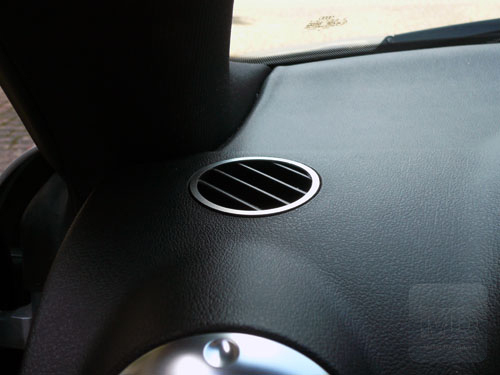 The panel is by using adhesive tape (supplied) installed directly on the unit. 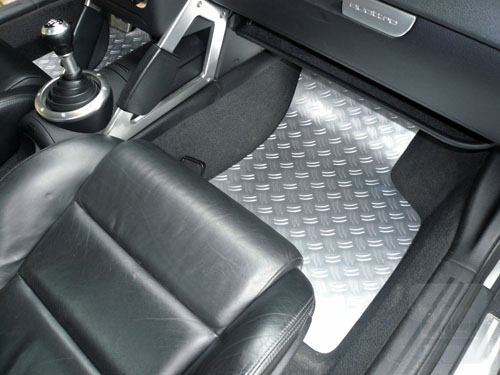 It is the diamond plate floor mats look for the Audi TT (8N). 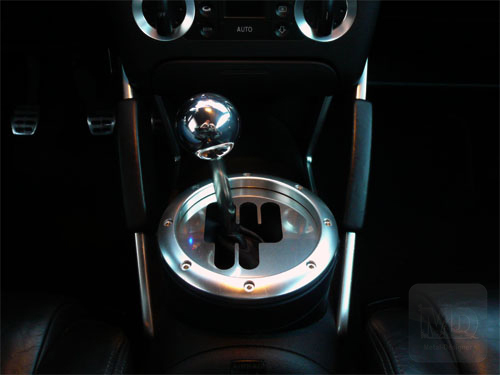 This is made from high quality anodized aluminum and the interior of your TT with a fresh, sporty look. 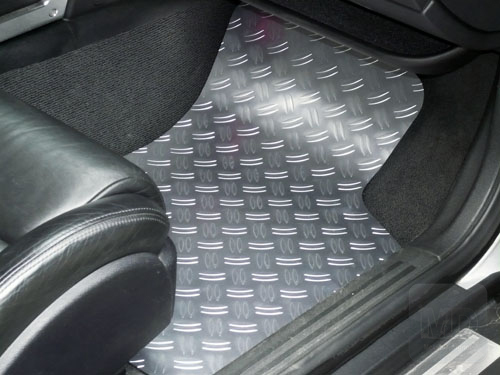 By the anodized surface, these floor mats in contrast to other floor mats made of aluminum is very resistant to external influences. The installation of the mats is very simple: get in shape – insert – Done. 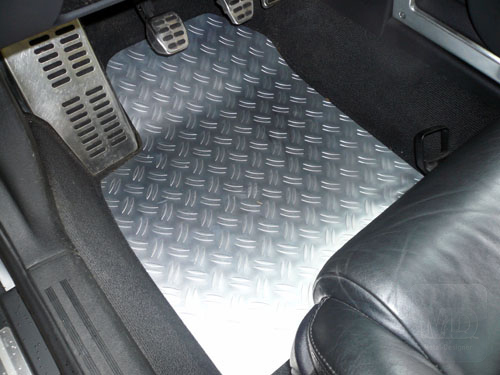 The anti-skid floor mats are also secured against annoying slipping. 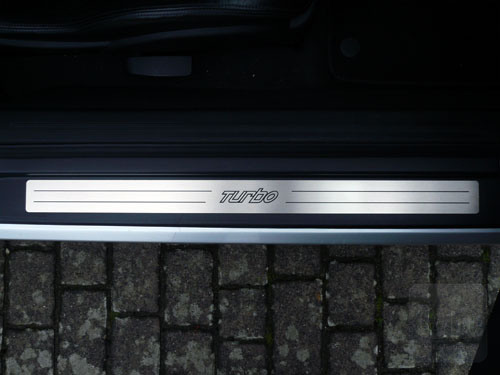 Are you looking for an exclusive extension for your Audi TT (8N)? 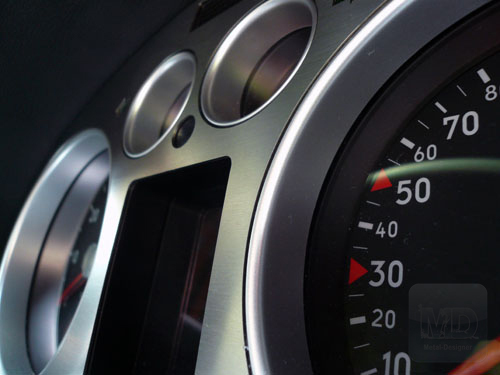 We provide this speedometer panel of brushed stainless steel. 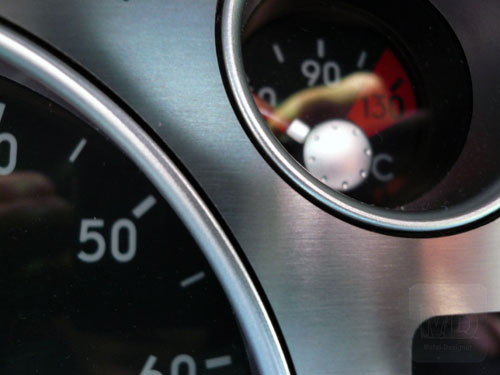 By the choice of material, the speedometer panel represents a timeless and understated image of your car. The assembly of the panel requires no special knowledge. 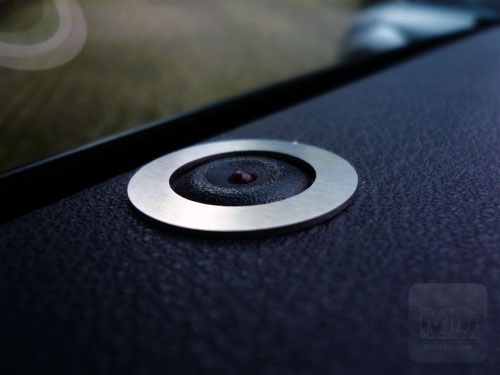 The panel is by using adhesive tape (supplied) installed directly on the unit. 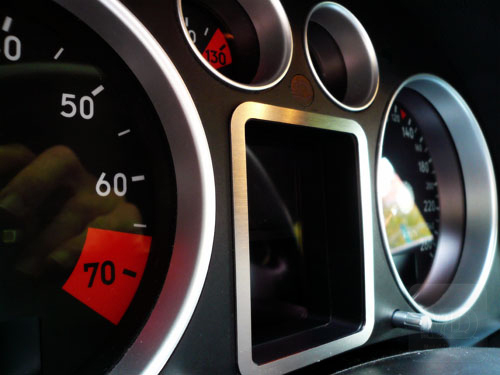 Are you looking for an exclusive extension for your Audi TT (8N)? 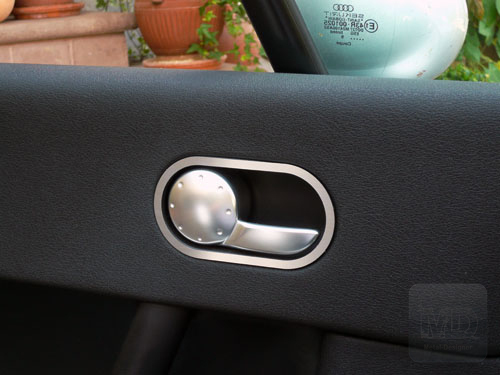 We offer these door handle covers in brushed stainless steel. 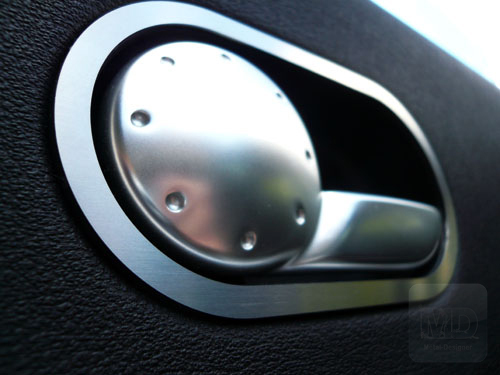 By the choice of material that door handle covers are available for a timeless and understated image of your car. The assembly of the panel requires no special knowledge. 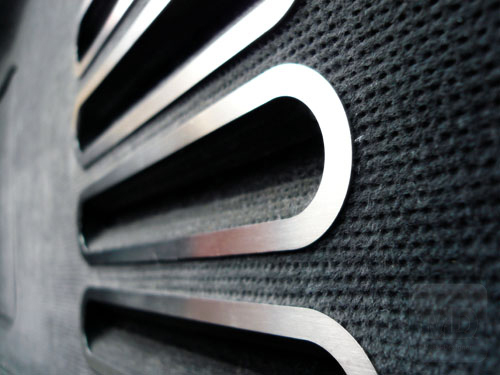 The panels are using adhesive tape (supplied) installed directly on the unit. 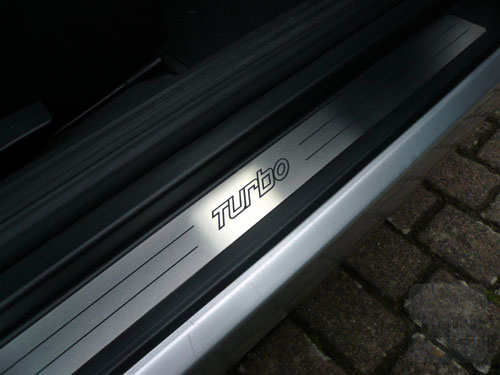 Are you looking for an exclusive extension for your Audi TT (8N)? 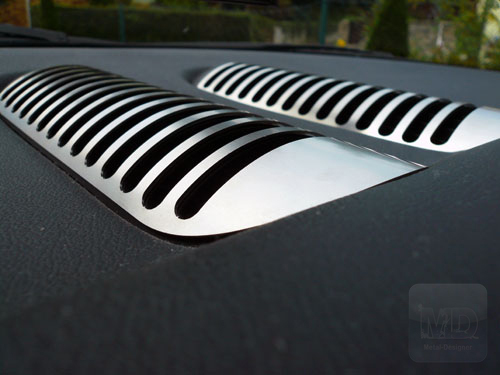 We provide this ventilation panels made from brushed stainless steel for the defroster vents of your Audi TT (8N). 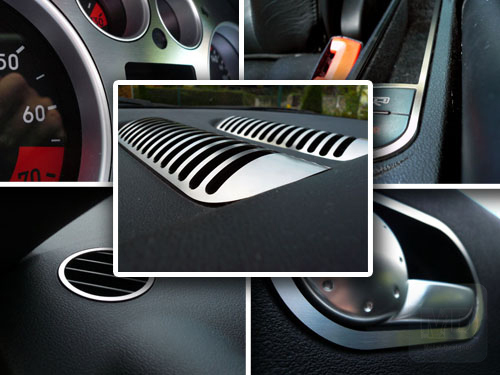 By the choice of material, the ventilation panels are available for a timeless and understated image of your car. The installation of the panels does not require specialized knowledge. The panels are using adhesive tape (supplied) installed directly on the unit. 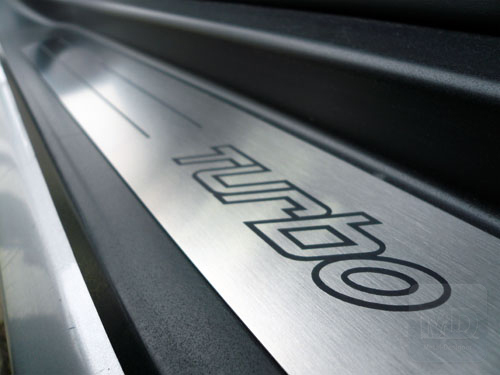 strips are engraved with “TURBO” been applied. 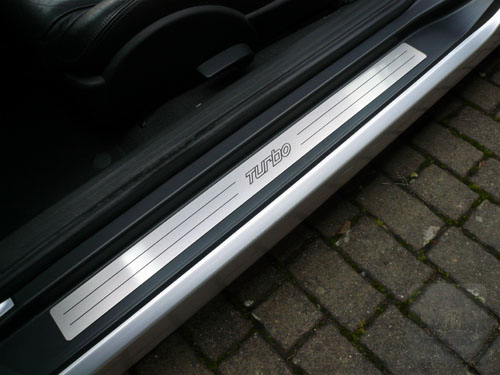 Are you looking for an exclusive extension for your Audi TT (8N)? 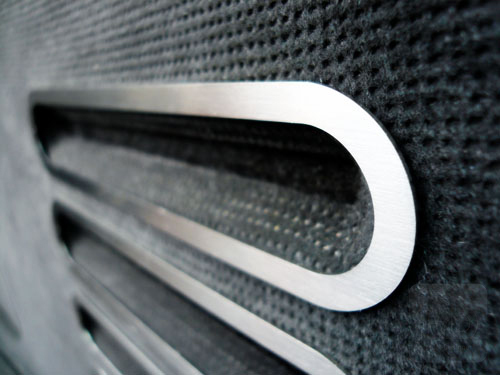 We provide these brushed stainless steel door pin covers. 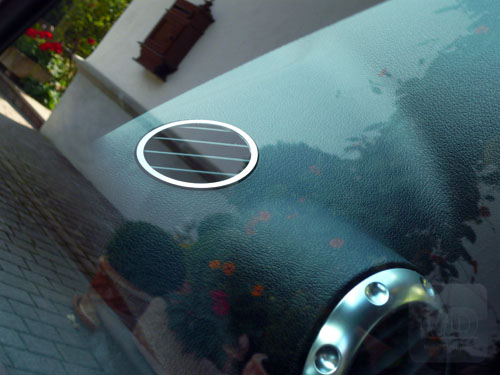 By the choice of material for these door pin covers are a timeless and understated image of your car. The installation of the panels does not require specialized knowledge. The panels are using adhesive tape (supplied) installed directly on the unit. 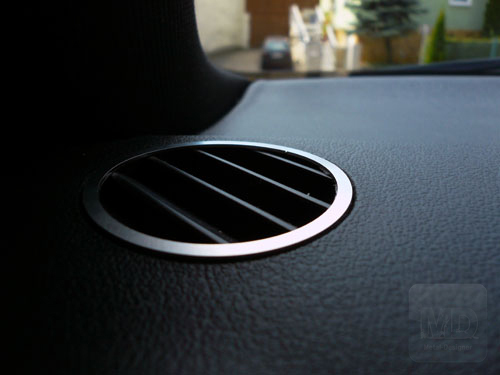 (supplied) installed directly on the unit. 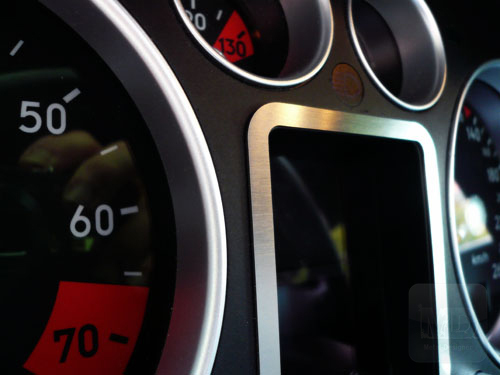 You want to upgrade your speedometer discreetly? 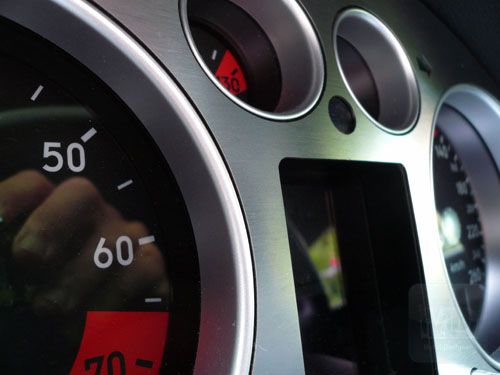 We offer the speedometer panel for the onboard computer. 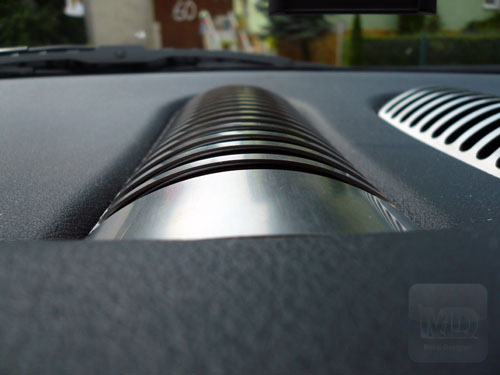 This diaphragm is made of brushed stainless steel and will give your speedometer an exclusive and sporty finish. 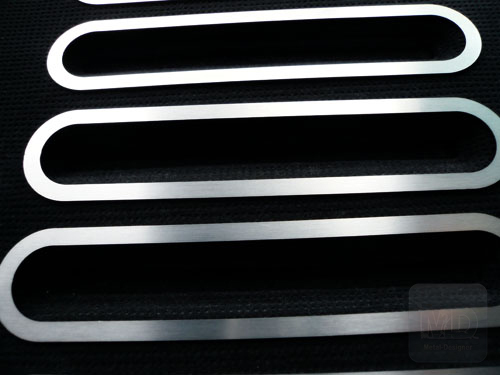 switching stick is made of a stainless steel tube of wall thickness of 0.5 mm. unique to each circuit. 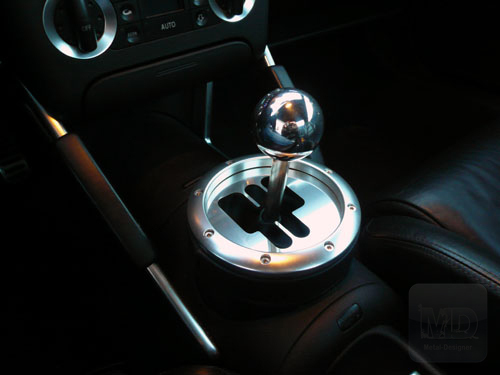 Contains: Aluminium gear knob (1 pcs) – shift boot / distance ring (1 pc) – wrapper for switching stick (1 pcs) – switching unit (1 pc) – Allen screws countersunk head (8 pieces). 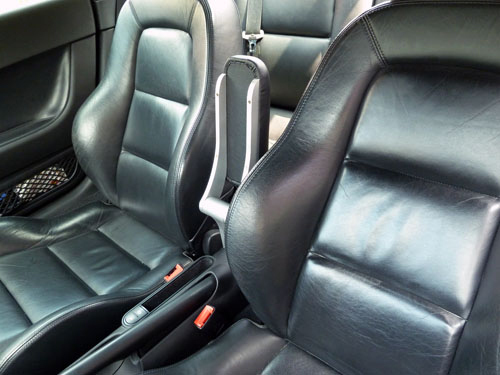 high strength stainless steel to give the center armrest with load sufficient stability. leather colors: black, gray and blue. 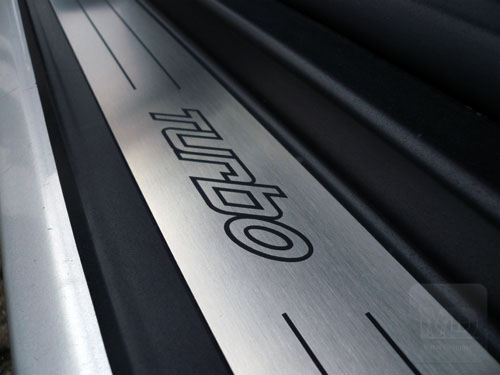 can just a stainless steel plate be ordered for a TT 6 speed? If so how much would it cost? Thank You. 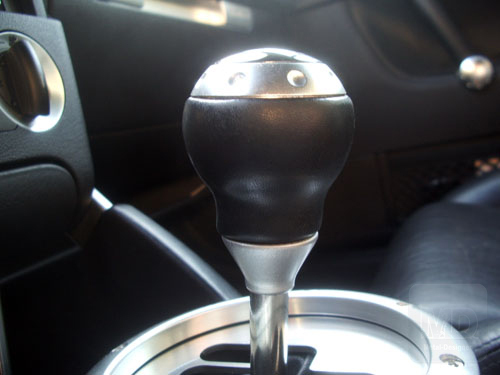 Dave, you mean the Open Metal Shifter? 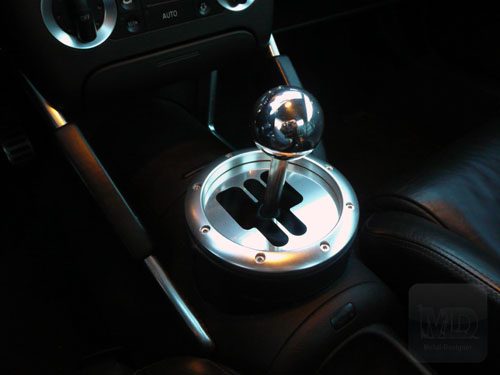 Yes, the shifter pattern flat metal plate. 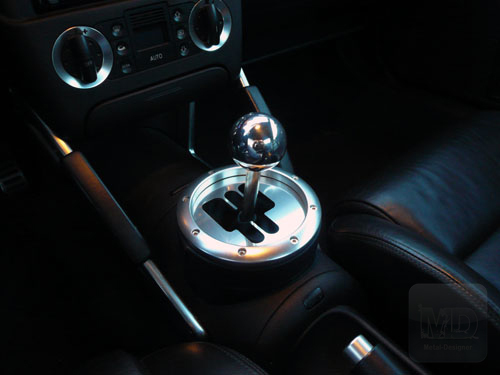 I want to have a white old fashioned ball as a shifter knob, not a metal one. 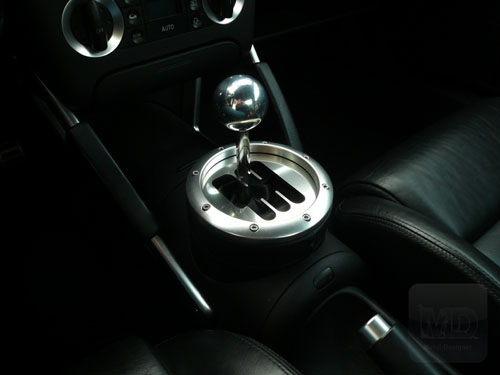 So I guess everything except the metal shifter knob. I do have the pieces on hand. I can let them go for 125$ + shipping. Send me your address and I will let you know the shipping cost. Expect a few months b4 you can get your parts. 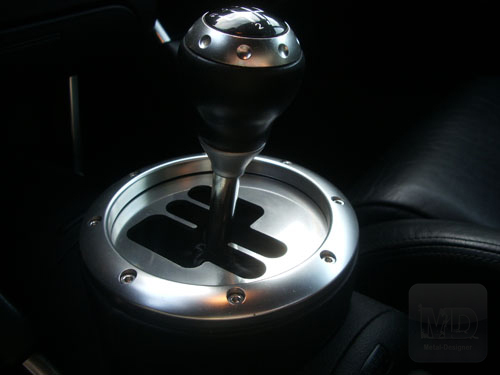 Hi I like the open metal shifter but I do not have a TT but a 2002 Renault Clio V6 230. 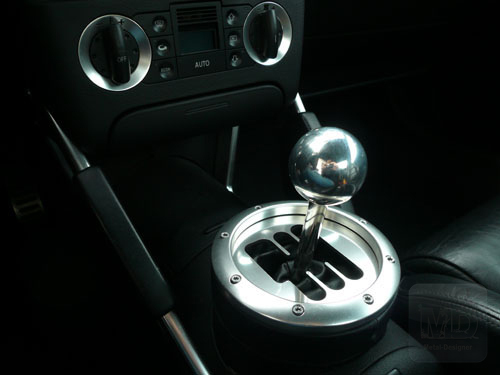 I like to know if you could custom make one open metal shifter for my Clio V6? Please advice. I am interested in several of these items. They look sweet! 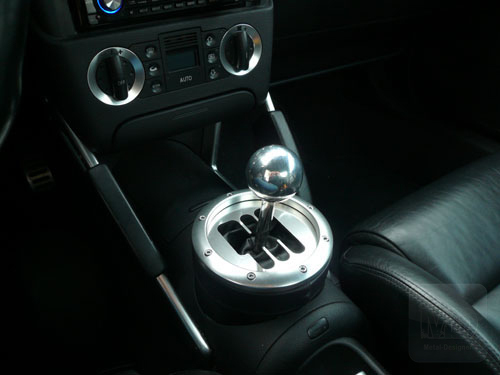 Hi, I was hoping you might have the aluminum shift ball for sale separately from the open metal shifter. If so, could you please send me the cost to ship it to US Zip Code 23093. I would also like to know the shipping cost for style pack 1. If you don’t have the aluminum ball knob. 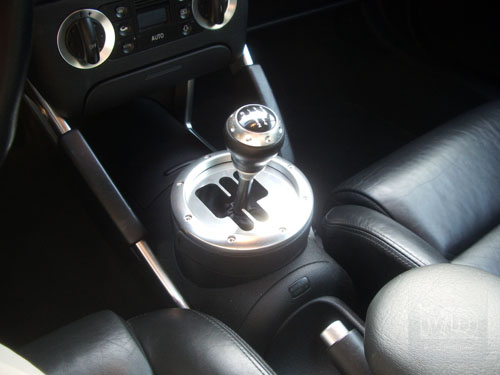 Do you still have the gear sleeve for control stick? Cost? Just wanted to double check that the parts in the Style Pack #1 will have exact fitment on a right hand drive Japanese imported 2003 TT. 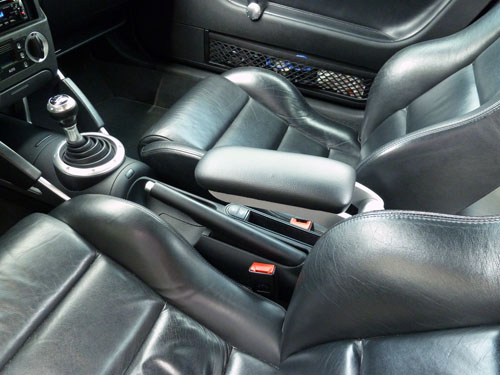 Apart from the obvious, is there any differences in the interior from a US version to the Japanese? It’s not recommended for short shifters, no. 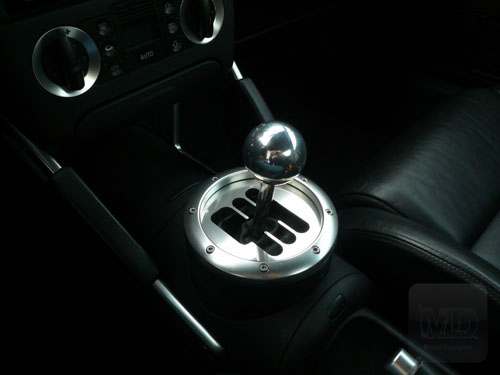 Hi Andre, I would also like to order the TT metal shifter without the ball knob. Could you let me know if that can be done/cost? Can you still get the gate for a 6 speed? Is there any way you can get the gate with the separator between reverse and 1st? Are the arm rests still available in Grey? Thank you!! 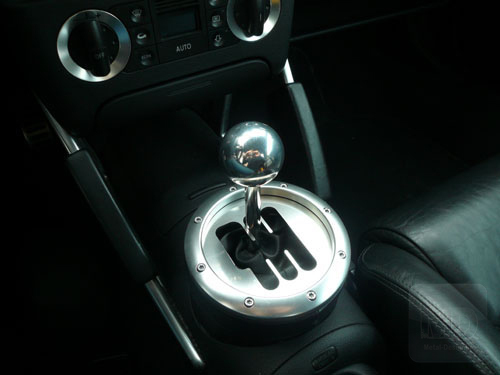 Tony S.
Hello Andre, I have the same question as Jef, I would also like to order the TT metal shifter without the ball knob. Could you let me know if that can be done/cost? Unfortunately, It is no longer available. It will be as soon as I can find a new vendor. I will write you when done. Andre, Looking at the H gate 6 spd. is that available? let me know. 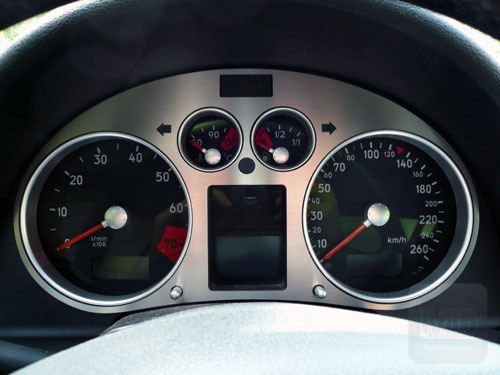 I need to purchase the Audi TT (8N):: Aluminium Speedometer Cover – Part number: 10104, let me know I am ready to make the PayPal payment ASAP. 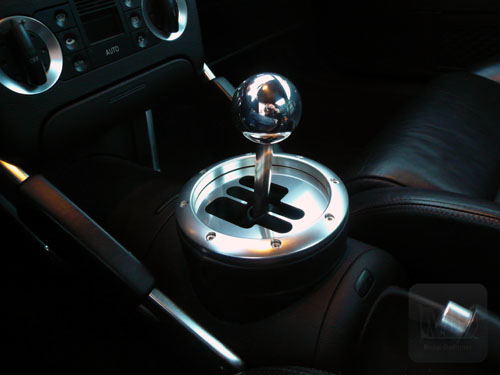 I am also interested in purchasing the metal shifter without the ball knob (would like to keep the original and just swap out the rubber boot). I see from previous posts that you say they are temporarily unavailable. Will they be available soon? If there is some sort of order wait list, I would appreciate it if I could be on it. Please let me know. Hi I have an Audi TT MK 1 1.8 Quattro roadster. I send an email but to be sure could you send me pictures of your armrest and the costings also a cost to send to Australia. 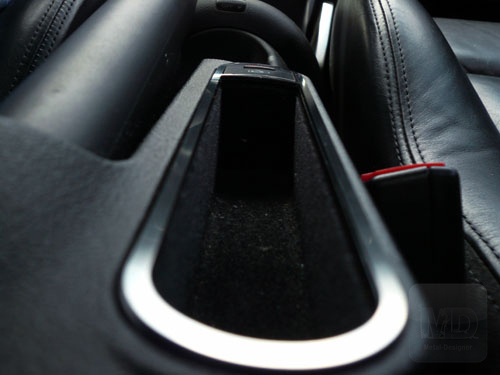 Also wondering if you could fit a cup holder or maybe two? extra cost for delivery to australia?? i am interested in several items. 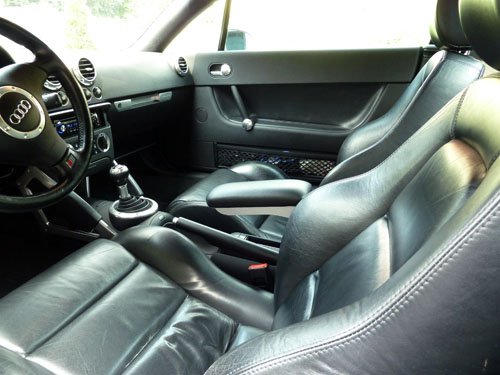 my tt roadster has the baseball seats, can you get the arm rests in that colour? Hello. 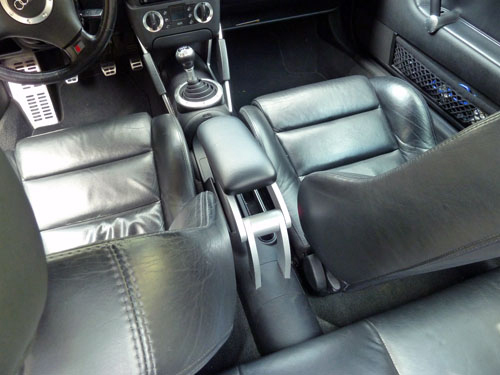 I’m interested in the centre console. The seats and door panels are denim blue. I think that’s what they are called. 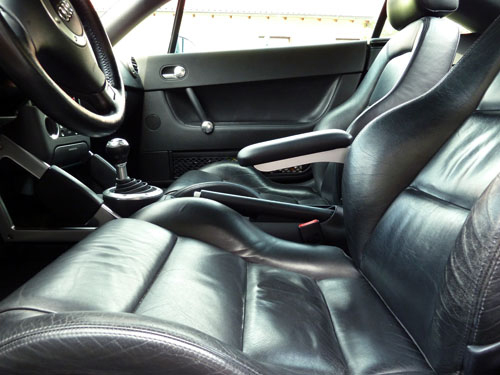 My carpet, centre console and headliner is black. What color would go with this setup? what is the cheapest to ship this to Niagara falls, ny 14303 and Ontario Canada L9K1L4. No ups shipping, thanks. 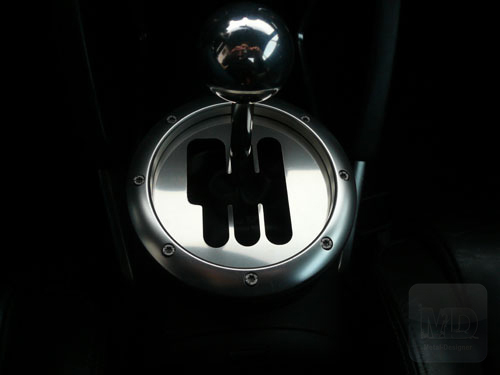 I’m interested in the audi tt 8n 5 spd shift gate, is it still available? Have you found a new supplier so as to start sending these out again? I’m interested in a handful of these products. Thank you! Unfortunately, the supplier is not reliable and I believe he closed its doors. 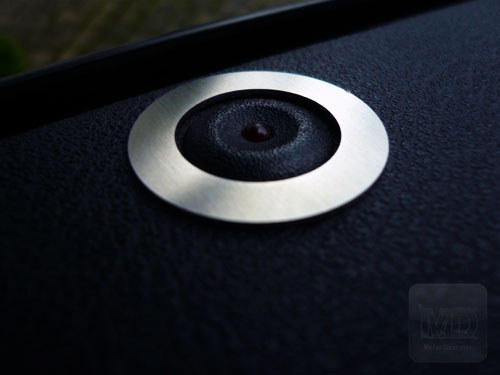 BUT, I found another guy that creates high end aluminium products. 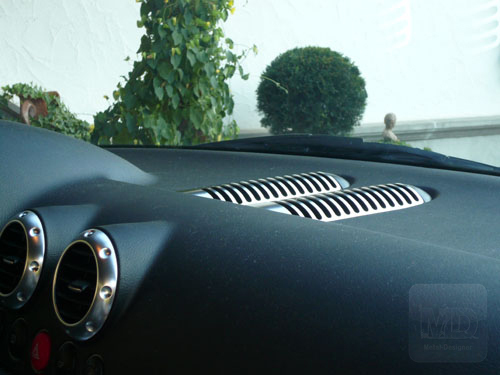 You can reach Markus at: infon@pogiparts.de and his products are here: http://www.pogiparts.de. Hi do you have the TT armrests in stock in black and how much are they? Hi Andre, hope you are doing well. I am interested in the 2016 Audi TT full set bodykit, would you know where I can order them in the states? There are a few. Send me a picture. 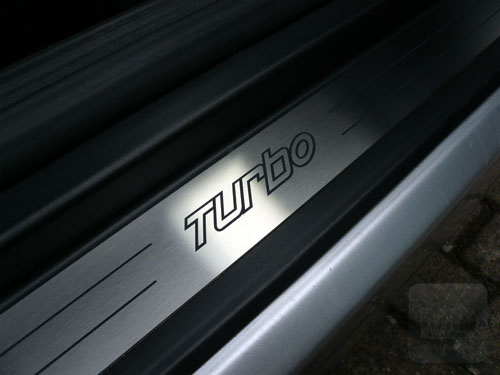 Do you make any of these aluminum products for the 2008 tt? 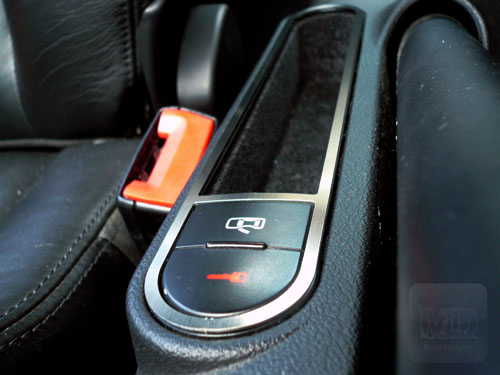 I don’t but if you look in this blog, you’ll find the instructions and CAD files to make the shifter gate yourself. 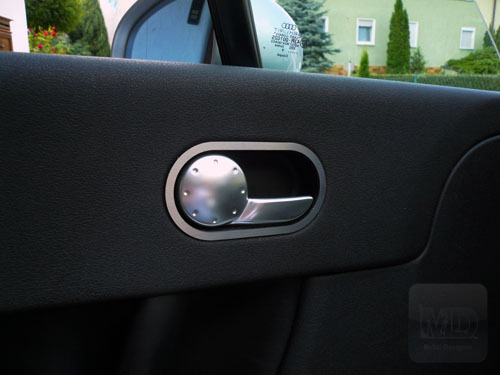 I also listed a supplier in Germany that can supply his own diecut aluminium parts. Hey Andre. 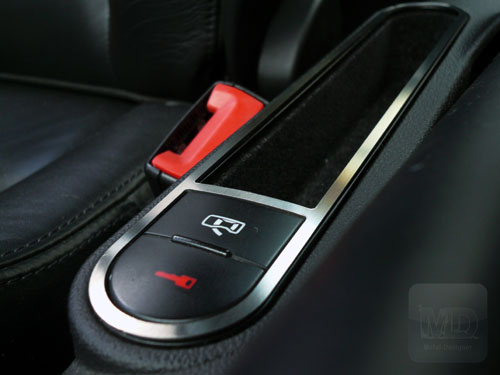 I was wondering Will the shift gate work on a 2001 Audi TT? Yes it will absolutely work! 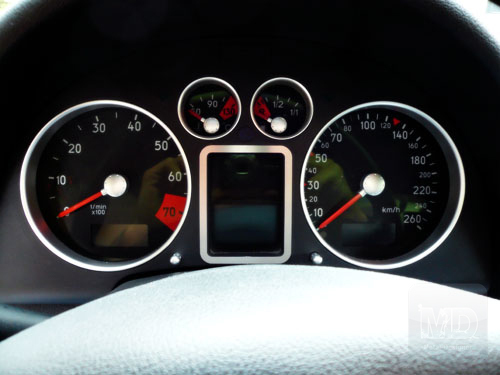 It’s for the Mk1s, therefore from 1998 to 2006. How much is shipping to Nevada USA? Yes, but you have to contact the suppliers directly! It has been made for the TT only. But you should ask an Audi dealership for their size. Maybe they are the same? 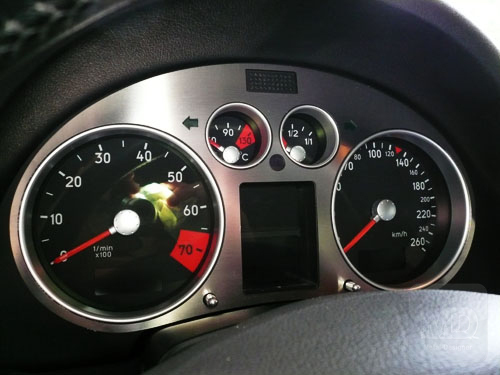 I would like to buy the “Audi TT (8N) :: Style-Pack 1 – Part number: 10107 – 169$ US” but am hoping the more discreet to replace the “Audi TT (8N):: Aluminium Speedometer Cover – Part number: 10104 – 65$ US” with “Audi TT (8N):: tachometer cover for on-board computer – Part number: 10111 – 65$ US.” Is this possible? 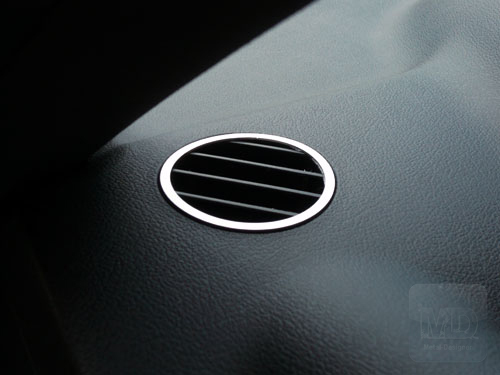 I am also looking for the aluminium dials for the seat heaters and other buttons on the center of the dash … but cannot find them online. Do you offer these? If not, could you point me in the right direction? You will find a direct access to my suppliers. Is this website still active? Please let me know asap! hello there. 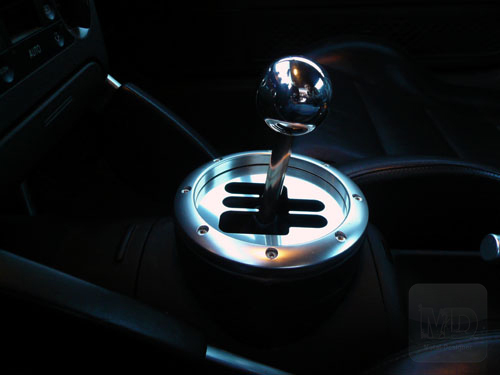 any chance you have found a new supplier for the gated shifter parts? also, are arm rests in black still available? thanks in advance. Hey there, unfortunately not but I have the specs for the gated shifter parts. Let me know if you need them. Could you send them to giantmtnbk@yahoo.com ? Vincent, the guy who used to make them doesn’t anymore. I was referring back to another supplier but I’m unsure he makes them either! Try contacting pogiparts.de. Let me know if they can still make them. Hi you got the coin tray available at all. Not anymore. Try pogiparts.de. They may still make it. Almost impossible to find these days. Have you tried on eBay?